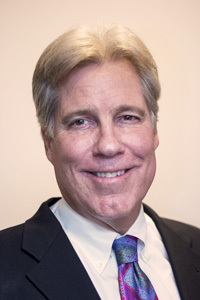 Leif M. Hertzog, M.D. is a fourth-generation physician and eye surgeon. He specializes in the most modern techniques of cataract surgery and intraocular lens implantation. His particular emphasis is on PREMIUM intraocular lens implants that help to reduce, and sometimes eliminate, a person’s dependency on glasses. Dr. Hertzog is very experienced with the ReSTOR® multifocal lens implant, helping patients to see well post-operatively at distance and near, often without any glasses. He also implants toric intraocular lenses, promoting better vision by reducing or eliminating astigmatism. In addition, he is well-trained in all types of laser surgery for the eye, including Lasik for nearsightedness, farsightedness, and astigmatism. As a clinical instructor for the USC Department of Ophthalmology, he is heavily involved in teaching resident eye physicians the latest surgical techniques. Dr. Leif Hertzog was born and raised in Long Beach. He graduated with Highest Honors from both the undergraduate college and the medical school of Loma Linda University. He then spent four years of resident training at the prestigious Estelle Doheny Eye Institute – USC Department of Ophthalmology. He and his wife Kimberly (herself an R.N.) have 4 grown children, one of whom is Dr. Dieter Hertzog, who is now an eye physician and surgeon, and has joined the Hertzog Eye Care practice. Dr. Hertzog is a board-certified ophthalmologist who provides total eye care – medical, surgical, and optical. He and his staff strive to maintain the same excellent quality patient care that his grandfather did when he established this ophthalmology practice over 85 years ago.